This web page is only a repository for the figures presented in the Global Carbon Budget 2018. For details and explanations, please refer to the Global Carbon Project's website. Full scientific documentation is available in Le Quéré et al. 2018. These figures appear in the Global Carbon Project's 2018 release. For additional details, and explanations of all figures, please view the full presentation available here. Zip files containing all these figures are available here. Visualise these data interactively using the Global Carbon Atlas, where you can download longer time-series for all countries. These figures and data are released under the Creative Commons Attribution 4.0 International license. 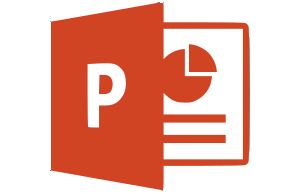 You may freely copy and modify these figures and data, and use them in commercial works, as long as you give credit as indicated for each figure. For details, visit the Creative Commons website. 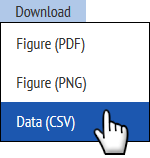 To download figures or data, use the Download menu to the upper right of each figure. The precision provided in the data files is not indicative of certainty. For example, the data file says that global emissions in 2017 were 35.6751 GtCO2, but this should be quoted as 35.7 GtCO2. CSV data files have been prepared for many but not all figures on this page.